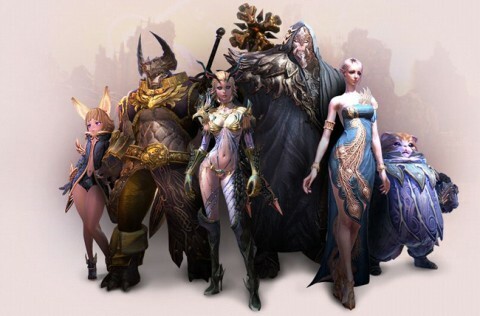 In TERA there are seven different races. Each one has its strengths and weaknesses, distinctive looks, different racial traits and hitboxes. If you only care about the looks of your character then choosing a race will be an easy choice for you, but for everyone else a comparison of racial traits will probably be helpful. Also, if you plan on doing PvP extensively you might want to consider class hitboxes as well. More details on all of this below! Kaiator’s Drums – Any aman of sufficient level can teleport at will to Kaiator, their home city. 1 hour cooldown. Core’s Resonance – Any baraka of sufficient level can teleport at will to Allemantheia, the high elves’ city of knowledge and learning. 1 hour cooldown. Indefatigable (Passive) – Baraka are built sturdily, like their ancestors. Their stamina never falls below 20%, even if they die. Passive. Kaiator’s Drums – Any castanic of sufficient level can teleport at will to Kaiator, with its great forges. 1 hour cooldown. Weaponforging (Passive) – Increases the speed of crafting with metal weapons in 10%. Light Landing (Passive) – Decreases falling damage by 50%. Velik’s Horn – Any elin of sufficient level can teleport at will to Velika, the federation’s capital. 1 hour cooldown. Friendly Current (Passive) – Your swim speed is increased by 50%. Core’s Resonance – Any high elf of sufficient level can teleport at will to Allemantheia, their home city. 1 hour cooldown. Core Infusion (Active) – Elves can draw on their connection to the Core to completely refill their mana. 2 hour cooldown. Velik’s Horn – Any human of sufficient level can teleport at will to their home city, Velika. 1 hour cooldown. Other than racial traits you’ll probably be interested in hitboxes for each race as well. Hitboxes basically determine how easy you are to hit: physically smaller races have smaller hitboxes, and the other way around. You should also keep in mind that allies are affected by hitboxes as well: healing a race with a smaller hitbox is definitely harder. Duo to hitboxes you might want to consider picking a particular race depending on your class. For example, as a healer you might want to pick a race with smaller hitbox such as Popori, so you are harder to target for enemies. If you’re playing a Lancer, you might want to go with the largest race so you can tank more easily. There are some general rules concerning hitboxes: taller races obviously have larger hitboxes. Popori and Elin are the tiniest classes, with barely any difference in hitbox size. As it is evident from the above image, Baraka is the tallest race, closely followed by Amani. Castanics, Humans and High Elves are pretty much of the same size. Males usually have larger hitboxes on every race, so below we’ll take a look at the differences of genders. The tallest female race is Amani, making them a great pick for Lancers class. Second tallest female race is High Elf, closely followed by Humans. Most players of these races opt out for Slayer, Berserker, Sorcerer and Mystic classes, both because of the hitbox size and racial traits. Also, not being the smallest race helps your healers target you, which is another benefit. astanic females are even smaller and a common choice for Warrior, Sorcerer and Archer classes. They may be harder to hit but also much harder to heal, especially because constant movement is required, so be sure to pay attention when your healer tries to heal you. Smallest race is the Elin, which at one point was so small it was nearly impossible to heal. For some reason though Elins are very popular amongst players so you’ll be seeing quite a few of them. Their racial abilities aren’t the best either, which makes it all that more surprising. Same as with Castanics, good awareness of your surroundings is advised so you can move into healing circles when necessary. Baraka don’t have a gender, but are obviously the tallest class. Baraka Priests are extremely popular, even though it doesn’t make much sense gameplay-wise. Even though their size would make them ideal for Lancer class, their racial skills don’t. Aman are also quite large, often played by Lancers, Berserkers and Slayers. Considering their large size, they are easy to attack and heal. High Elf and Human males have negligible hitbox difference. 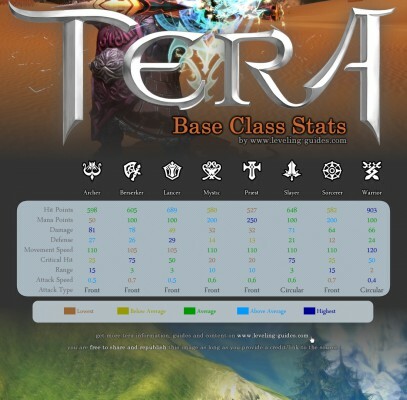 Most Humans play Lancer, Berserker and Slayer classes, and most High Elves, play Priests, Archers, Warriors and Mystics. Basically, these races are good for any class, and their racial skills are quite decent as well. Castanic males are slightly shorter than Humans; the horns aren’t a part of the hitbox. Lancers for example in most cases can’t Shield Block a corridor so you might not want to pick that class/race combo, but their racial skills are still quite effective despite your class preference. The shortest males are of course the Popori, which are much like Elin also quite popular for any class, but suffer from the same downsides and upsides. Personally I always prefer to play a race for their looks, completely disregarding any racial skills, passive bonuses, hitboxes and all that, and I would advise the same to every player. It is a fact that you can gain certain advantages if you choose a particular class & race combo, but it doesn’t mean you can’t successfully play what you like. As you probably noticed, Humans have good PvP racials, making them great if you want to focus on fighting other players on a regular basis. High Elves might make good casters due to the mana regeneration racial ability, but do remember it’s on a 2 hour cooldown. Elin and Popori share the same racial abilities, and in my opinion they aren’t particularly useful for any play style. Castanics have Dirty Fighting, making them good picks for Warriors and Slayers. Amani are in my opinion really good for tanking, and Baraka second best. But again, don’t let racial skills or your class preference get in the way of playing what you like.